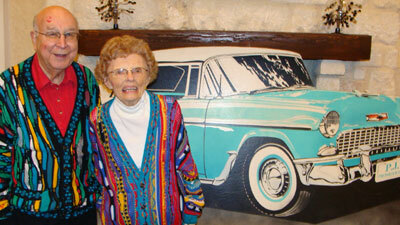 Appletree Court celebrates Family Night once a month with dinner and live entertainment. September's theme was a '50s Party with hamburgers and Cokes and Marilyn Monroe. 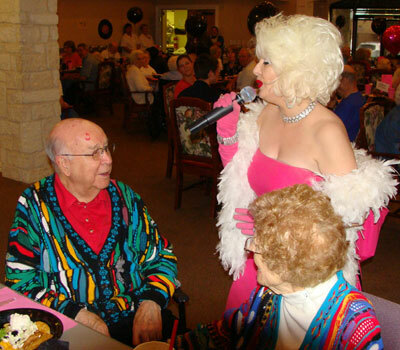 Ruth and Walt have birthdays Friday and Sunday, so Marilyn serenaded both with a sultry "Happy Birthday, Mr. President." Judging by that big red smacker on Walt's forehead, I'd say a good time was had by all.